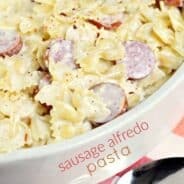 Looking for a delicious, easy weeknight dinner idea? 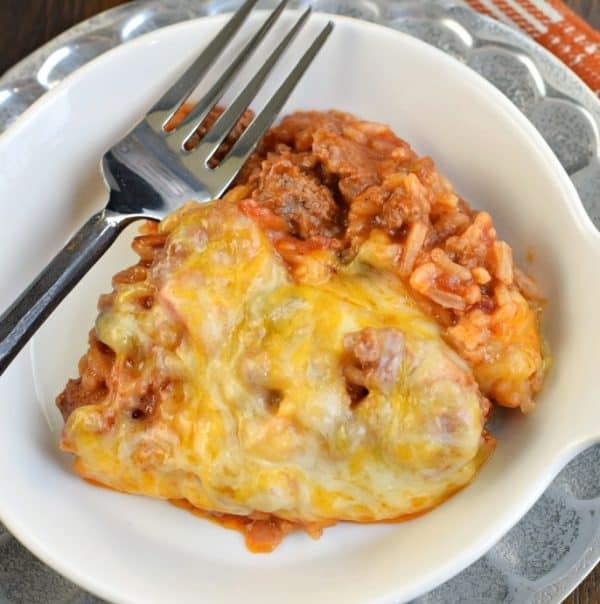 This Instant Pot Stuffed Pepper Casserole recipe is the perfect comfort food, and ready in under 30 minutes! So earlier this year I bought myself an Instant Pot and I had every intention of sharing lots and lots of recipes with you guys. But then I got busy making coffee cake, and cupcakes, and cookies that dinner recipes just seemed, boring. 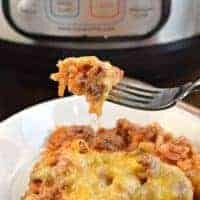 As I was debating what to share this week, I realized this Instant Pot Stuffed Pepper Casserole was just sitting there…pictures and recipe done, just waiting for you, my readers to read about it. I think my problem is, I don’t like taking photos with my Instant Pot. I just can’t seem to capture how delicious the food is when it comes out! As a huge stuffed pepper fan, I was a little worried about this one not tasting like my favorite dinner…but it exceeded my expectations. 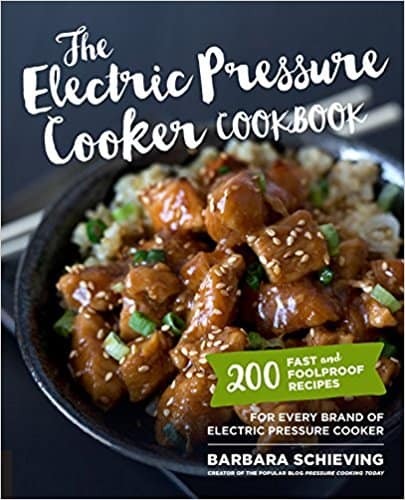 If you haven’t picked up “The Electric Pressure Cooker Cookbook” from Barbara Schieving, you better get on Amazon now! Every dish is amazing, and they are all classics…not fancy recipes that nobody will actually make or eat. 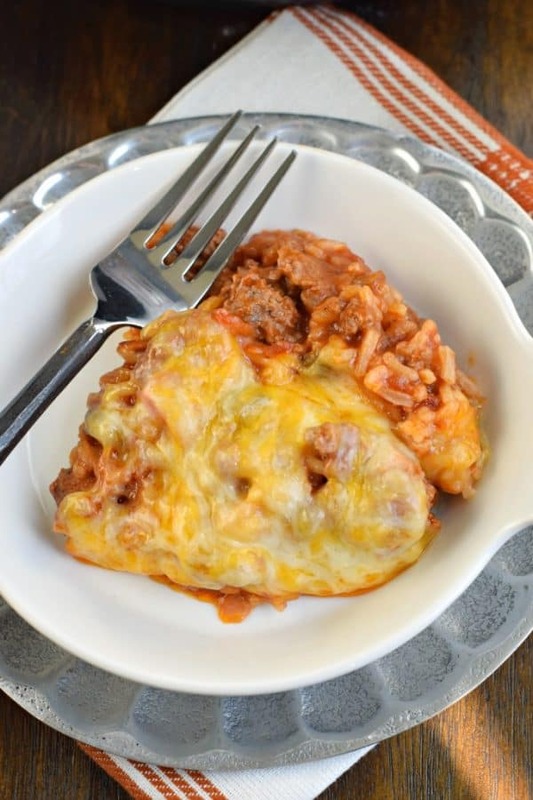 Today’s Stuffed Pepper Casserole recipe is easy! And you can brown your meat right in the instant pot so that you don’t have to dirty another dish! From start to finish this dinner was on the table in well under 30 minutes! And even grandma would approve of the flavor of this classic dish! 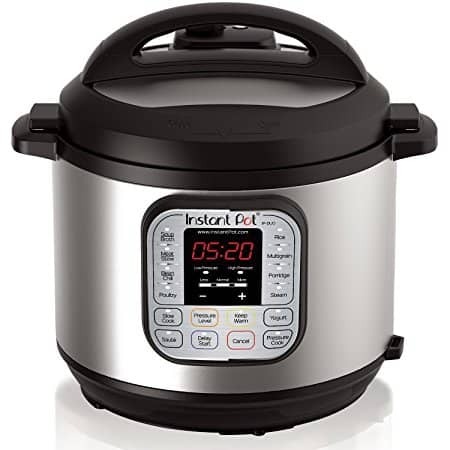 First, get yourself an Instant Pot. It’s perfect for busy families or people who don’t want to spend all day in the kitchen. I have a 6qt which is perfect for my family (of 6). Next, decide if you’ll be using ground beef or ground turkey. Both taste great in this dish, so use what works for you and fits best in your diet! You’ll want to select “saute or browning” on your pressure cooking pot to brown the ground beef and onion. Mine took about 5 minutes to brown 1 lb of ground beef. I drained the little bit of excess oil out of my instant pot, but that’s optional. If using ground turkey, you should be fine to continue to next step. Add in your garlic, green peppers, diced tomatoes, tomato sauce, beef broth, rice (I used Jasmine rice), worcestershire sauce, salt, and pepper. Lock the lid, select “High Pressure” and cook for 5 minutes. When time is up, use natural release for 10 minutes, then finish with a quick pressure release. Carefully open the lid and add your cheddar jack cheese. I closed my lid again for a minute while I gathered everyone to the table. By the time we sat to eat, the cheese was melted and perfect! ENJOY. 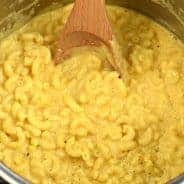 What else can I make in my Instant Pot? Hard Boiled Eggs. Seriously I make a dozen of these every week for snacking, on the go, and salads. My Instant Pot Hard Boiled Egg recipe makes delicious, perfect to peel eggs, EVERY TIME. Whole Chicken. In less than 60 minutes, you can have a tender, perfectly roasted chicken made in your electric pressure cooker. This easy chicken recipe from A Mind Full Mom is flavored with a homemade rotisserie seasoning and is perfect for eating for an easy dinner or using in chicken recipes. Baked Potatoes. Making Instant Pot Baked Potatoes is significantly faster than baking them in the oven and yields great results! Once you try this method from Rachel Cooks, it’s going to be your preferred method of making baked potatoes. Cheesecake. Yes. You read that correctly. This Instant Pot Cheesecake recipe from Recipe Girl is creamy and delicious, and nobody will know you used your pressure cooker! Be sure to follow me on Instagram and tag #shugarysweets so I can see all the wonderful SHUGARY SWEETS recipes YOU make! I created a fun little group on facebook and I’d love for you to join in! It’s a place where you can share YOUR favorite recipes, ask questions, and see what’s new with Shugary Sweets (so that you never miss a new recipe)! If you’d like to check it out, you can request to join HERE. For the pressure cooker, select "browning/saute" to preheat the pot. Once hot, add the ground beef and onion and saute for about 5 minutes, stirring constantly until beef is browned. I drained out any extra fat/oil. Next, add the garlic and bell peppers, saute for 1 full minute. Add tomatoes, tomato sauce, beef broth, rice, Worcestershire sauce, salt, and pepper. Lock the lid in place. Select "High Pressure and 5 minutes cook time. Once the cook time ends, turn off the pressure cooker and use a natural release for ten minutes. Then finish with a quick pressure release and remove lid. Sprinkle the cheese on top, place lid back on, and let sit for a few minutes to allow cheese to melt. This is a flavor packed recipe! A keeper, for sure! 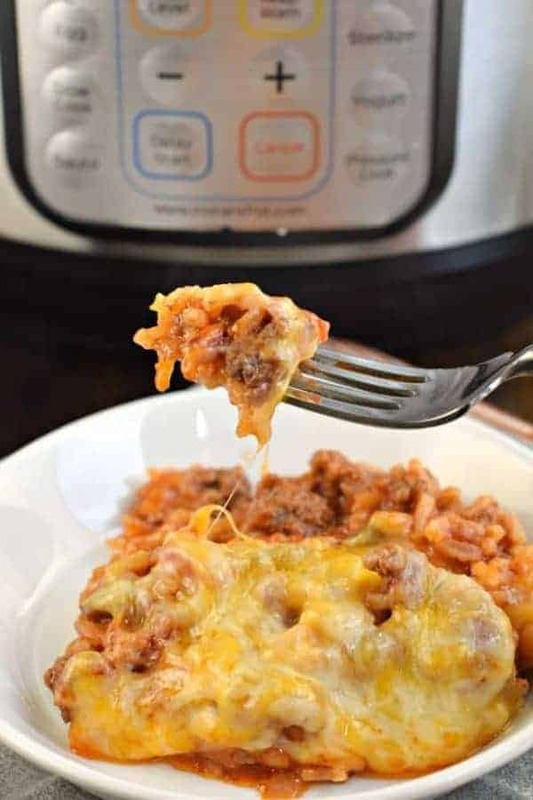 I’m constantly amazed at the range of recipes that can be made in an Instant Pot! This recipe is perfect! I agree…and this dinner is so fast and easy, and tastes amazing! 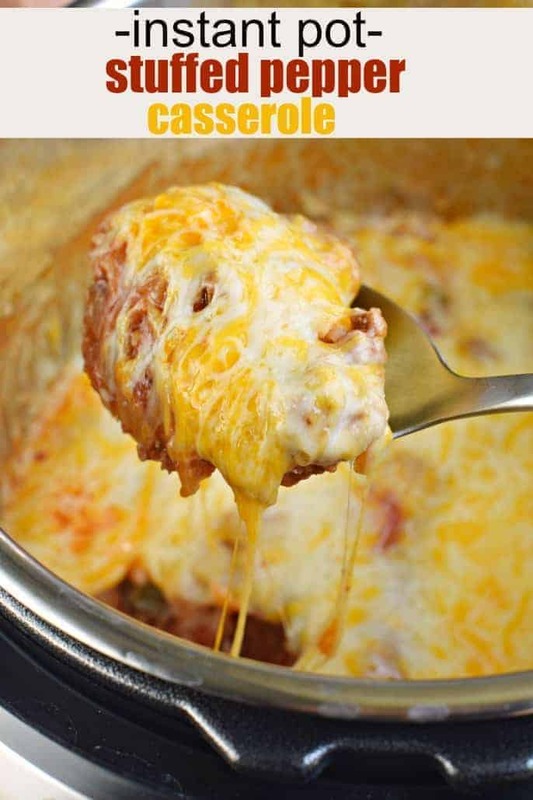 Ohmygosh I cannot wait to make this in my Instant Pot! Fabulous recipe, lady! I’m wayyyy into my Instant Pot right now, so these are going on tomorrow night’s menu! If you love stuffed peppers, this dish is delicious!!!! 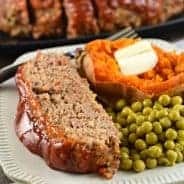 I followed this recipe exactly in my 6 qt instant pot ultra. Just as it started to come to pressure it started saying BURN. I opened it up and some rice and all was burnt on the bottom. Wondering if more beef broth needed to be added. Idk. I’m trying to make this right now and also got a burn warning. Opened it and added more broth – didn’t seem to be very burnt. I am hoping I was able to save it…will find out in a few minutes. I plan on doubling the recipe. Any suggestions for cooking time? Do you use regular rice or minute rice? I use regular rice (usually Jasmine), minute rice will get too soft. What a great recipe, definitely a keeper! I changed just a bit: added one teaspoon of Italian seasoning, cut the cheese by half, use three peppers in red, orange and green coarsely chopped instead of diced (since I love cooked peppers, may try four peppers next time for more color). Loved this dish! Took most of it to a friend who is recovering from a call. Got a text describing the meal as “outstanding”! So glad to hear it!!! That’s so kind to share a meal with someone 🙂 Thank you for your tips! Tried this last night-it was delicious! Followed exactly what the recipe said! Thankyou for posting this recipe! When reading your recipes they sound good but my husband is counting calories and trying hard to loose weight. It’s hard to know if it’s worth trying without calorie and portion info please consider including this in your posts. Our family loved it. Going to make chic fil a coleslaw to go with.